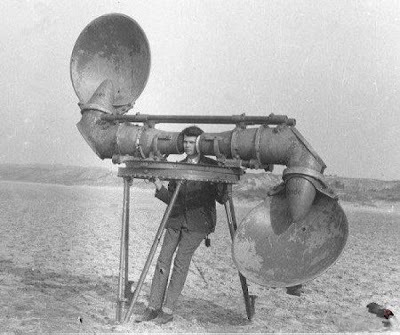 Locating Devices before Radar was invented: "Before the invention of radar to detect aerial means and the water court opponent could be using the speaker location (sound). Radar is an object detection system that uses electromagnetic waves to identify the range, altitude, direction, or speed of both moving and fixed objects such as aircraft, ships, motor vehicles, weather formations, and terrain. The term RADAR was coined in 1941 as an acronym for radio detection and ranging."